Ran a crazy trip last week. It started out slow and we were heading over to another group of rigs to wahoo fish when we saw a bunch of birds. We veered off to the birds and saw some busts so we got ready. We werent prepared for what it was though. 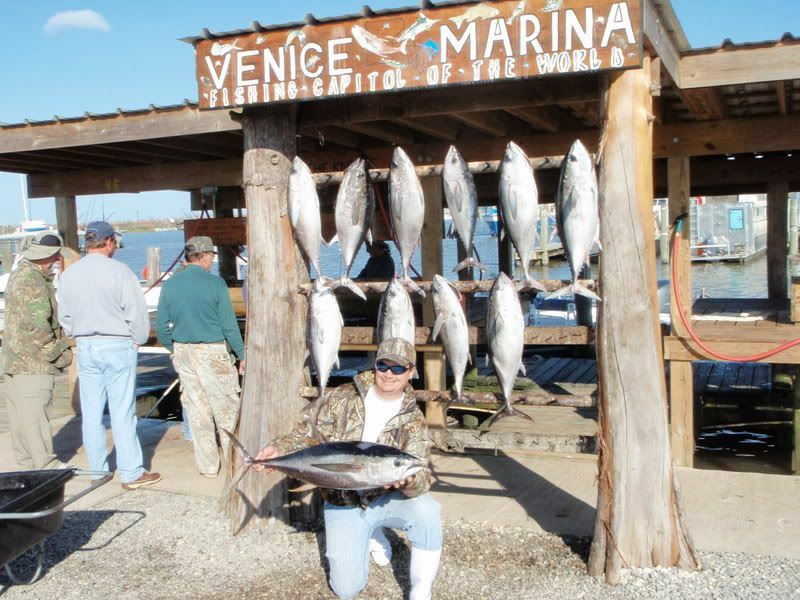 blackfin, yellowfin, bonito and sharks had a few pods of pogies balled up. 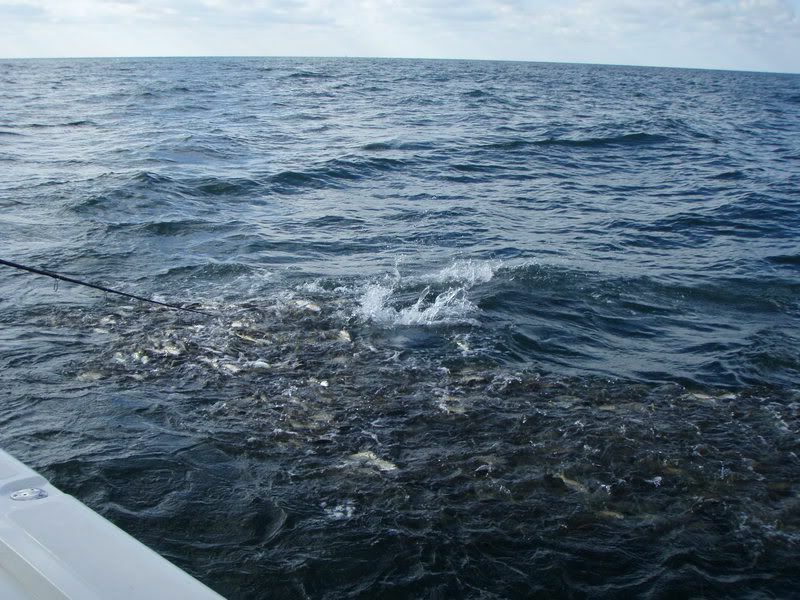 We couldnt get a popper past the bonito so while trying to figure out how to catch the tuna the fish pushed the pod against the side of the boat and the pogies started jumping into the transom. I used a 5 gallon bucket and dipped it into the water and got 30 pogies on the first dip. 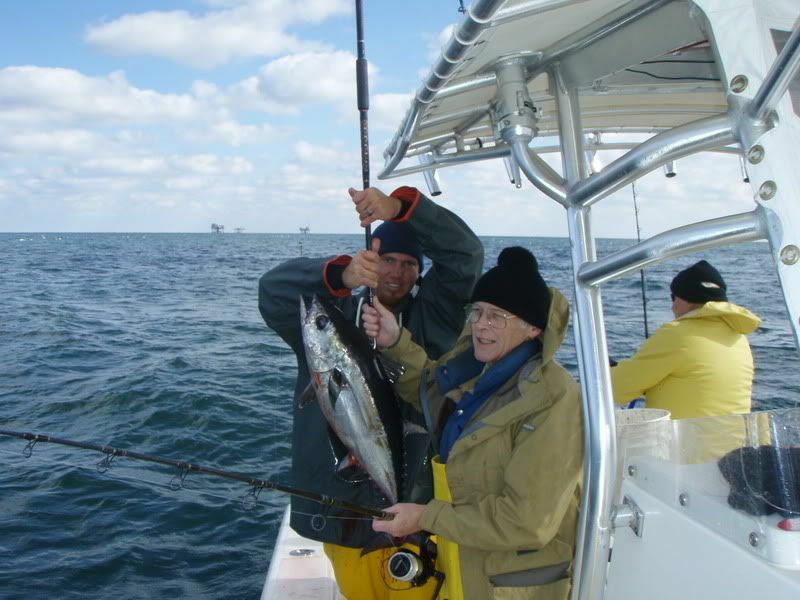 We put one of them on a hook and it was an automatic blackfin. We were cane poling tuna. It was insane. 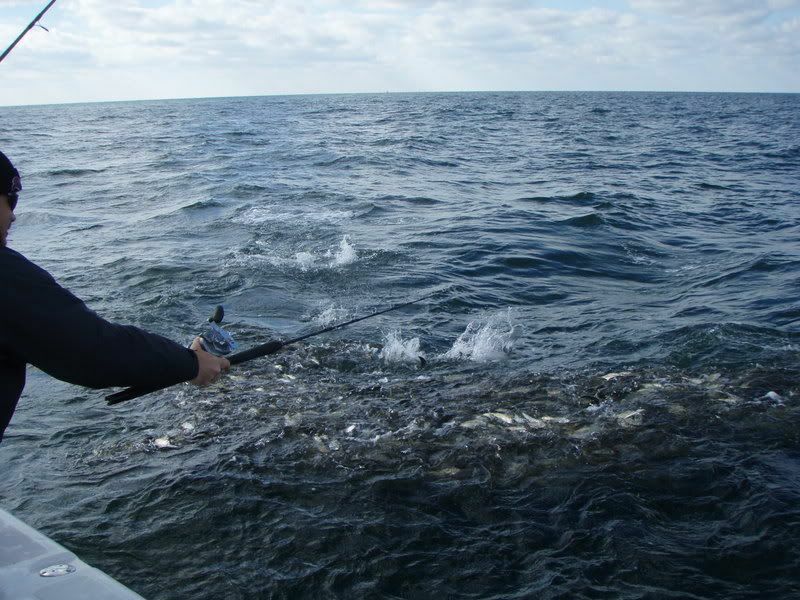 We would dip the bait in the water and if a bonito came up we would lift it out and drop it in and wait for a blackfin. Of course we werent always fast enough to get out the way of the bonito. The fish were so crazy on fire I was tieing 12/0 silver mustad hooks straight to 130 pound jerry brown spectra and it had no effect on teh bite. Instant hookups. By the time the fish went down we had 10 blacks and one small yf in the box.